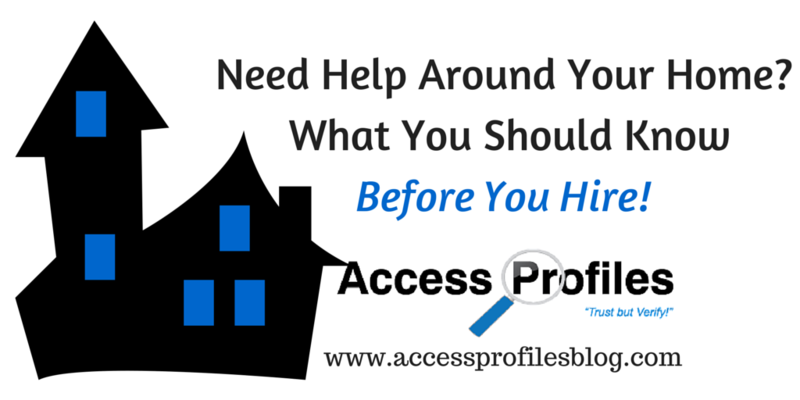 Access Profiles, Inc.: Need Help Around Your Home? What You Should Know Before You Hire! Need Help Around Your Home? What You Should Know Before You Hire! Summer is fast approaching. Many of us are looking for ways to improve our homes or just hoping to keep up with the endless tasks home ownership brings. You may be looking to hire someone to build a new deck, update your kitchen, or even a company to cut your lawn. Whatever the case may be, hiring someone blindly is never in your best interest! Word of Mouth is the top way many of us find a company to hire. A glowing recommendation from someone we know definitely carries a lot of weight. After all, it is much easier to trust a company that a friend or relative has used and loves. But You shouldn’t stop there. Instead, make sure you do your homework. Asking the right questions of any company you are considering is the best start. Doing this will give you the peace of mind you need to hire the perfect company for you. It is not important that a company has been in business any set number of years, but having the experience necessary to do the job is. If you decide to take a chance on a relatively new company, you can benefit from their eagerness to put their company on the map and from their possible willingness to negotiate price. And while a new company may have a lot to offer, when a company has been able to stay in business, they are usually doing something right. In most cases they also have a wider range of references and skills to bring to the table. Insurance to cover their employees (in case they get hurt on the job). Insurance to cover any damages or repairs that they may cause while in your home. Not having insurance can put you in the position of being liable for mishaps and accidents that occur, even if they are the fault of the company you hire. Are You Registered with the Better Business Bureau (BBB)? This is an easy way to check to see if there have been any complaints filed against the company. It is also possible to find out how these issues were handled and if they were rectified satisfactorily. While it is not uncommon for a business to have a complaint or two, too many should be a red flag. Have You Ever Been Sued by a Client or have You Filed a Suit Against a Client? Being a party to a civil suit should not be an automatic deal breaker, but you definitely have the right to know. No matter what their answer, be sure to verify the information! Lying about past suits is not the best way to start a business relationship. If your state requires a license for the type of work you want done, check that it is up to date and valid. Ask for and and be sure to check a list of references. Any reputable company should have no trouble providing you with one. Make sure to contact each reference and ask questions about the company’s work habits (did they show up on time, work a full day, clean up after themselves), did the job come in on budget and on time, and be sure to ask whether they would hire them again! If possible, try to visit a current work site. It is a great way to find out first hand how they work! You can try and do all of this yourself or hire a background check company to help. Either way, forewarned is forearmed. 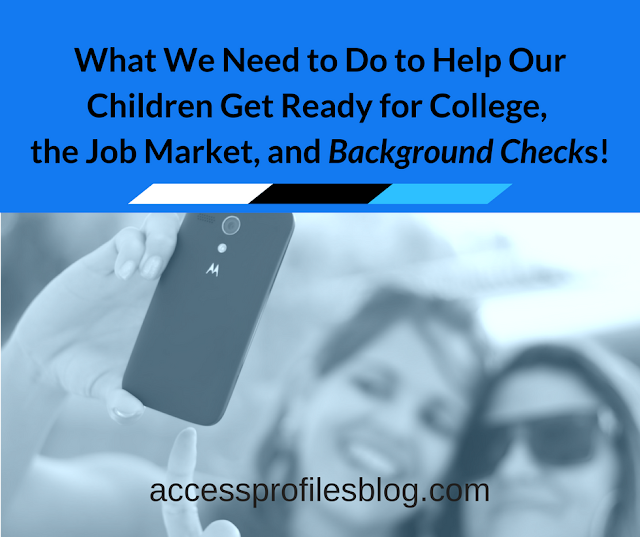 Find out more about doing Background Checks here! A written contract is an important piece of protection for both you and the company/person you hire. Make sure the contract is signed and dated by all parties and that each of you has a copy. Different companies have different preferences when it comes to being paid. Make sure you both agree on the terms and make it a part of your signed contract. But no matter what schedule you agree to, it is never wise to pay for everything up front. Pre-set, periodic payments that coincide with agreed upon standards of completion are key. Being clear on exactly when they will show up and how long they will be there each day is important. You will even want to know what to expect as far as lunch breaks or other possible breaks in the work schedule. How are Your Workers Managed on Site? Is there always a senior person on site responsible for the workers? It is important that you know someone is responsible to ensure they are making progress and doing the work to the standards agreed upon. It will also help to know who you can address if you have any questions or concerns. So, the next time you need something done around your home, take extra care to know all you can about the company before you hire. Doing some work beforehand can save you from what could turn out to be a costly mistake. Please “Pay it Forward” and Share this article! Thanks! Before You Hire Someone for Your Home Improvements, Contact Me! I can Answer Your Questions and Find Out What You Need to Know! You can reach me through the “Contact” page on my Website. While there, take a look at my “About” and “Services” pages to find out more about Why and What I do! 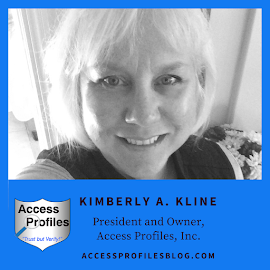 Let’s Connect on Facebook, LinkedIn, Twitter, and Pinterest too!